There are stacks of yoga books for sale these days with clear pictures of poses and detailed instructions, which are useful if not attending yoga classes. 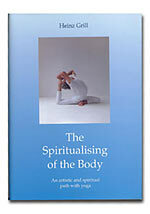 These yoga books mainly focus on the physical aspects - how to do the poses and how to improve health and wellbeing. 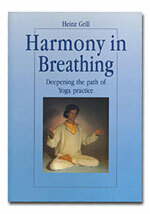 The yoga books below, by German spiritual teacher Heinz Grill, have a very different quality and are from some thirty books he has written in the last 10 years. They raise the understanding of yoga above the purely physical to reveal a dimension of soul and spirit and they bring a wealth of pure thoughts and subtle, sensitive feelings to our awareness. 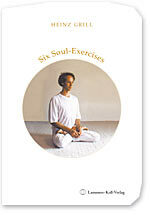 These yoga books show us a way of working with the poses to enrich our whole consciousness. The poses are described and shown in relation to each of the seven chakras, with expressive pictures that reveal the lightness and artistic aspect of this approach to yoga. 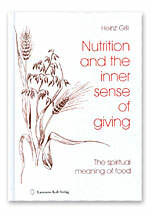 Reading spiritual literature needs a special kind of attention different from reading everyday books. It is as though we have to slow down to explore an inner world and let ourselves be touched in a deeper way. This kind of reading requires repetition and time for reflection for our understanding to mature. 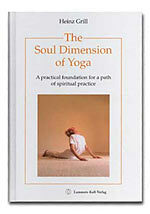 To support our journey of transformation with yoga, the following three yoga books by Heinz Grill, available for the first time in English translation, provide a very helpful guide on the journey. It is possible for everyone to develop wise and sensitive qualities by training the more subtle organs of perception that each of us carries within us. 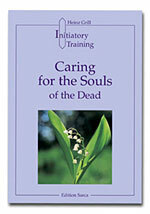 The soul-exercises, or concentration-exercises, in this booklet teach us how to look in an objective way, free of our automatic, subjective reactions. Through regular practice of these kinds of exercises we can learn to see what is really there – in others, in nature, in what we read, or look at. We recognise the inner truth of the people and things around us and can live more in the present, with calmness, sensitivity and joy. We strengthen our inner selves and can open our hearts more freely.